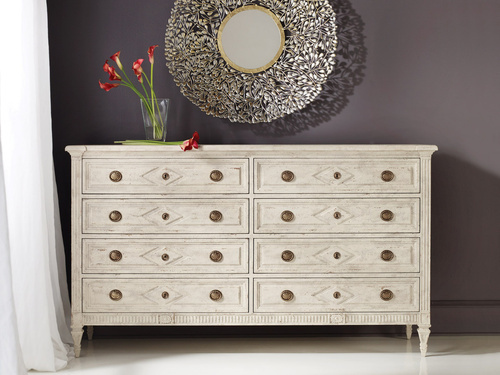 The Paris Dresser is classical and sophisticated. Perfect for a bedroom, dining or living room. Made from hardwood, with detailed elegant carvings and tapered legs with an antique white finish and round brass pulls. 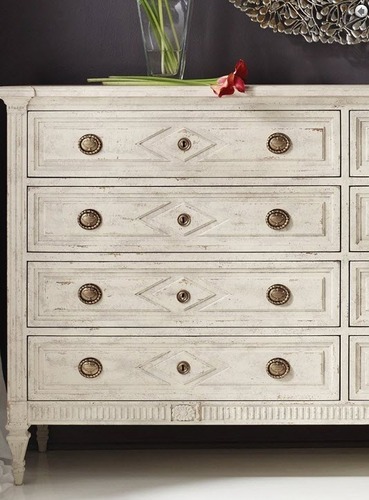 Decorative keyholes add instant vintage charm.